ENUGU – Controversial Spiritual leader and pro-Biafra activist, Prophet Anthony Nwoko has accused President Muhammadu Buhari of allegedly fuelling the agitation for the actualisation of the Biafran republic indirectly through his anti- Igbo polices and utterances. Nwoko also took a swipe at fiery Catholic priest, Rev. Fr Ejike Mbaka for playing politics with his priestly works and asked him to relocate to Buhari’s home state Katsina, so that he would have enough time to engage in “false prophecies” for the president. “Mbaka should relocate to Katsina State to have time for prophecies for Buhari. He is not a prophet of the Holy God,” he said. Nwoko said that although successive administrations in the country had been anti- Igbo, none was more pronounced that Buhari’s regime. Prophet Nowoko who had prophesied that President Buhari’s second coming would not bring any relief but misery to the nation spoke in an interview with newsmen in Enugu. According to him, President Buhari was indirectly plotting to resurrect Biafra through his policies and utterances. “Buhari’s preference for those that voted for him, collapsed infrastructure in South East, lopsided appointments and the high-handedness in dealing with armless separatist agitators in Southern parts of the country by security personnel are factors that further fuel agitation for Biafra. Nwoko insisted that no amount of ingenuity in financial and economic management would save the country from the current economic recession, socio-political strife in view of security threats from herdsmen, insurgents and militants. Also, in his message entitled, “Spiritual Message for the state of Biafra nation and why Nigeria is facing problems,” Nwoko stated that Nigeria as a nation was a ‘fraud’ by colonial masters which was doomed to crash, warning that it was in the interest of political leaders to plan for peaceful separation. He warned religious personalities and “big churches” to stop deceiving the unsuspecting citizens with fake prophecies and lies, saying that the judgment of God would soon come down on them for using the vineyard of the Lord to enrich themselves. Nwoko also, spoke on the long detention of the Leader of the Indigenous People of Biafra, IPOB, Mazi Nnamdi Kanu. 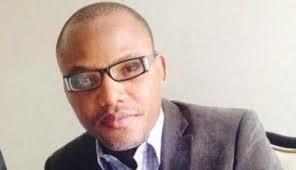 “Spiritually, I want to declare to the world that I have seen Nnamdi Kanu in the spirit many times. He, Kanu is spiritually hale and hearty and nothing will happen to him. He has come to join hands and build the land, Biafra full of milk and honey,” he added, even as he urged the Federal Government to release Kanu to avert more problems for the nation.